The Delhi High Court on Thursday directed former Ranbaxy Laboratories Ltd promoter Shivinder Singh to pay the money owed to Japanese pharma major Daiichi Sankyo under an arbitral award won by it in 2016. The court also asked Shivinder to come out by October 30 with a "viable" plan of payment of his share out of the arbitral award of Rs 3,500 crore. "You (Shivinder) are a man of honour, pay his (Daiichi) money and go," Justice Rajiv Shakdher told Singh, adding that "you cannot dissipate assets while trying to mediate". The court's observations came after Shivinder's lawyer urged that Daiichi be asked to sit with his client and mediate so that the pharma company gets a "substantially better amount". The judge declined to issue any such direction and said that "this kind of stance will not help your client" and directed Shivinder to "come with a viable plan" to pay Daiichi by October 30. "Bring something which is solid and substantial," the court said. 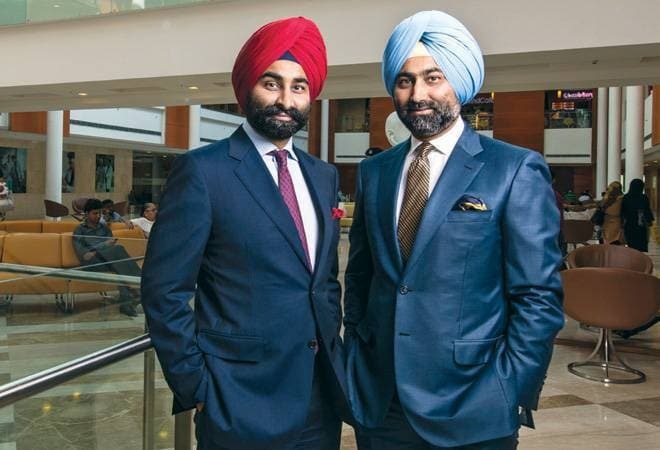 In August, the court had restrained former Ranbaxy Laboratories Ltd promoters -- brothers Malvinder and Shivinder Singh -- from operating their bank accounts in India or abroad and selling any property. The court also ordered release of the Rs 3.5 million Singapore dollars, which Malvinder Singh had obtained by selling his 45 lakh equity shares in Religare Healthcare Trust in April and which he was ordered to deposit in court, to Daiichi towards part payment of the award. The judge said that the money would be released to Daiichi subject to it furnishing an undertaking that it would return the amount if the Singh brothers are successful in their challenge of the award in a Singapore court. The court also asked the brothers to file a report on the valuation of the assets disclosed by them in the matter. Malvinder had sold the shares in the Singapore-based company in violation of the high court's direction. The shares were sold and the amount was used by the brothers to pay EMIs for an apartment in Singapore to avoid any default of payment. The high court Thursday asked Malvinder to give an undertaking that he would abide by its orders and warned that failure to comply would invite contempt action. The court on September 5 had asked Malvinder to deposit with it the 3.5 million Singapore dollars he had obtained by selling his shares in a Singapore based company, saying there has been "disobedience" of the court's previous directions. The court was hearing a petition of Daiichi Sankyo, which had come to the high court seeking execution of the Rs 3,500 crore Singapore tribunal arbitral award won by it in April 2016. It had on February 19 restrained the brothers and 12 others from selling or transferring their shares or any movable or immovable property as disclosed by them before the high court earlier. The high court had on August 10 restrained the Singh brothers from operating their bank accounts in India or abroad and selling any property. It had directed the brothers and their firms RHC Holding Pvt Ltd and Oscar Investments Ltd to disclose the bank account details. A Singapore tribunal had in April 2016 passed the award in Daiichi's favour holding that the brothers had concealed information that their company was facing probe by the US Food and Drug Administration and the Department of Justice while selling its shares. Daiichi had moved the high court here seeking direction to the brothers to take steps towards paying its Rs 3,500 crore arbitration award, including depositing the amount. It had also urged the court to attach their assets, which may be used to recover the award. On February 16, the Supreme Court had dismissed Singh brothers' appeal against the high court verdict upholding the international arbitral award. Singh brothers' counsel had argued that the award granted consequential damages which were beyond the jurisdiction of the arbitral tribunal and the award cannot be enforced under the provision of the Arbitration Act. They had claimed that Daiichi was fully aware of all facts and still chose to retain the Ranbaxy shares, instead of terminating the agreement and returning them.